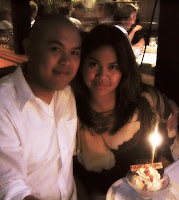 MRS. REYES: Happy 6th Anniversary! two of the most gorgeous & sweetest little boys. and put butterflies in my tummy. congrats!!! I'm just about to hit my first year!! :) always so excited. May you have 50 more!